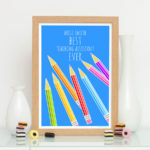 This best teaching assistant ever pencils print is a lovely colourful and original thank you gift for your child’s classroom teaching assistant. 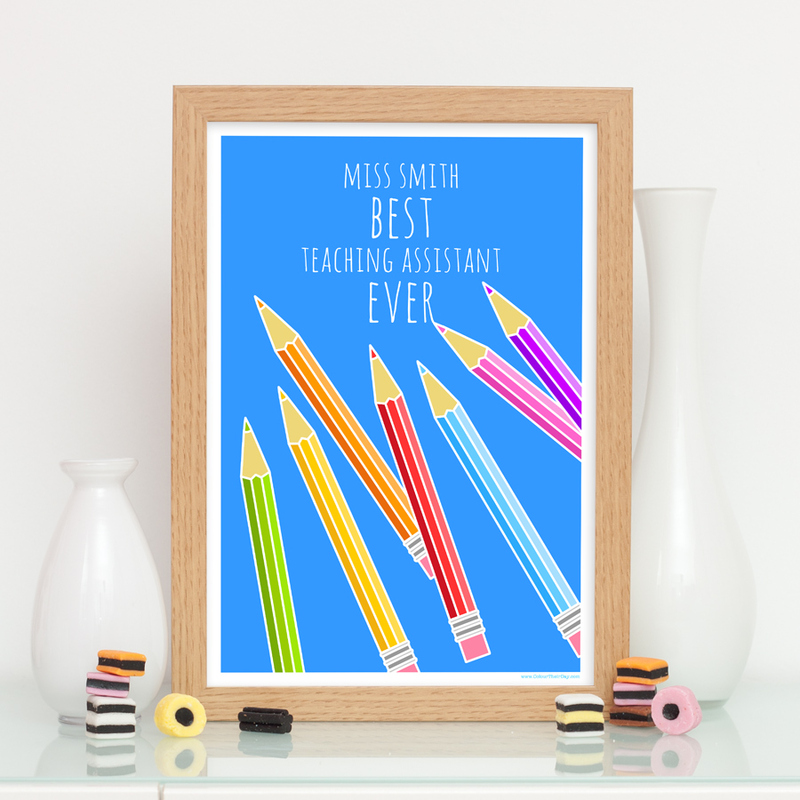 The design features a selection of vibrant colouring pencils, scattered on top of a vivid blue background, with the text ‘Best Teaching Assistant Ever’. The print is available in 7×5 inch unframed, 7×5 inch framed, A4 unframed, A4 framed and A3 unframed. The A4 and A3 size can be personalised by adding a name along the top of the design (see photo). Please select which you would like and fill in the relevant details. Enter the name you would like on this print. 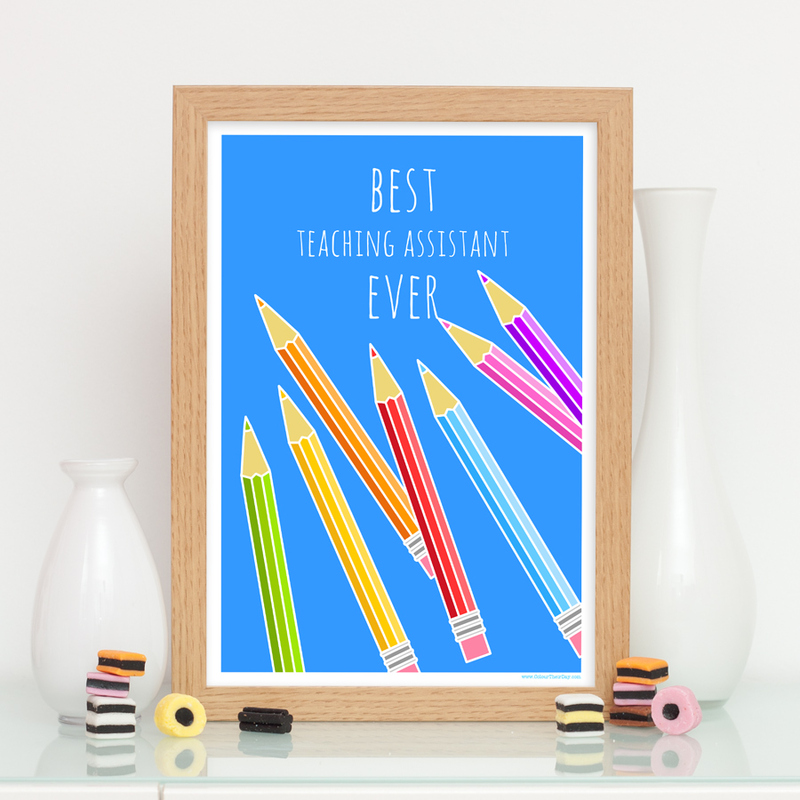 Be the first to review “Best Teaching Assistant Ever – Pencils Print” Click here to cancel reply.